Winger is one of those books that you pick up and happily read and laugh along to before it unexpectedly smashes you in the chest and leaves you an emotional wreck. 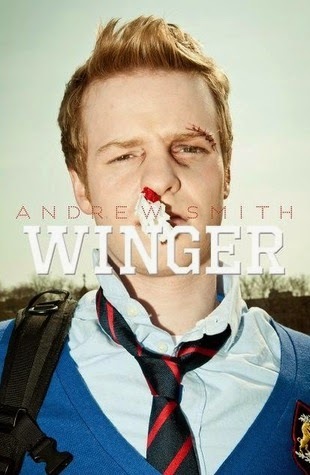 I enjoyed Winger from the outset. A boarding school novel featuring a host of teenage boys was bound to raise more than a wry smile from me. I got into the characters and the setting quickly and thoroughly enjoyed finding out more about them and their story and regularly found myself chuckling away at a variety of passages. It really captures that self involved teenage stage perfectly well. For me however the book left me a reeling mess within the last few chapters. I won't go into details but I was left stunned and it took be several days to think it over and come to terms with it. It really packs an emotional punch and I loved it for it. In the least sadistic way possible, it's nice to see that you, too, were left traumatised!